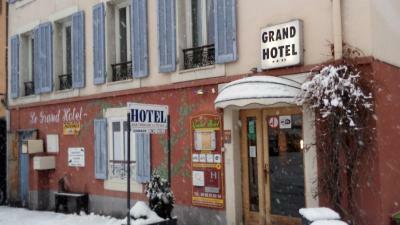 Lock in a great price for Le Grand Hotel – rated 8.3 by recent guests! Really friendly and helpful host who went out of her way to make sure we were happy. 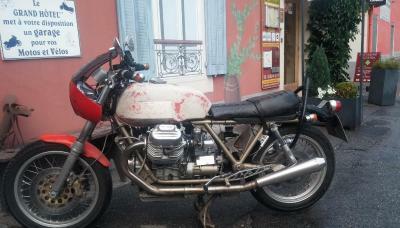 Free garage parking provided for our motorcycle (motorcyclists & cyclists are made particularly welcome), nice location overlooking a small square ringed with bars, restaurants etc. 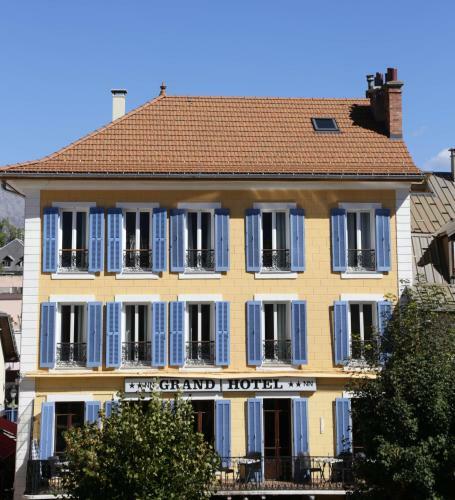 The building is old and typically quirky French. Can't comment on the breakfast as we chose to walk to a cafe by the local market. 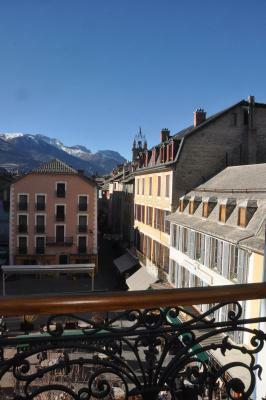 Superb location just off the main square. 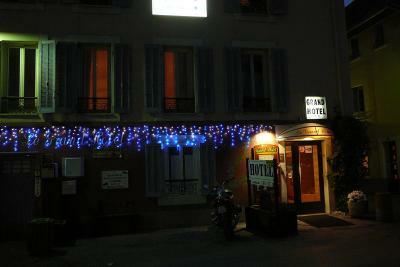 The hotel is very charming, with just the right blend of tradition and modernity. The owners/managers are attentive and very helpful. Highly recommended!! Location was adjacent to a square with lots of restaraunts and activity. The hotel was centrally located and the staff was helpful. There was plenty of choice for the breakfast, including cereal, pastries, bread, yoghurts and juices. Plenty of free public parking right outside the hotel. Great breakfast, super helpful staff, secure bicycle storage. Located in centre of this beautiful town. Large public car park at the rear and has an entrance off the car park as well as the main entrance from the main square at the front. The rooms are basic but entirely adaquate for our needs and were very clean. This is a good hotel for travellers in this beautiful mountain ous area. 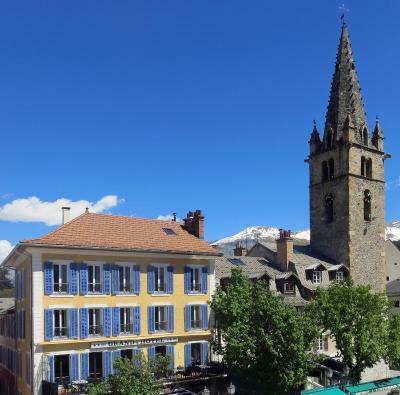 One of our top picks in Barcelonnette.Located in the heart of Barcelonnette, the Grand Hotel offers a terrace, a fireplace, billiards and a bar. The property is set in Place Manuel, where several events are organized during the summer. The Grand Hotel features rooms with a characteristic Provence or rustic decor. They offer a flat-screen TV and an private bathroom with a shower and hairdryer. The hotel’s central situation means it is surrounded by shops, bars, restaurant and museums. 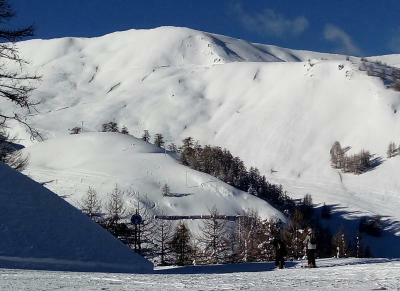 From mid-December to mid-April, a free shuttle service is offered from the property to ski slopes. 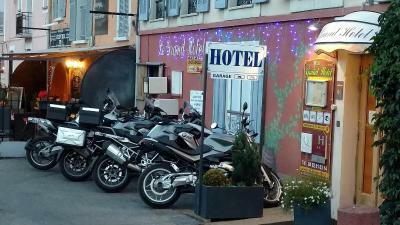 The hotel offers a garage for your bikes and motorbikes as well as a place to put away you ski equipment. 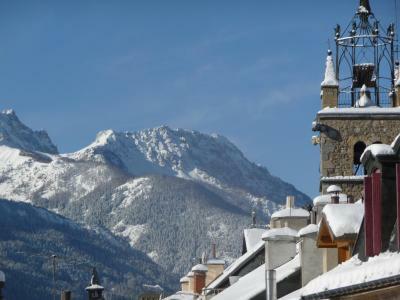 It offers easy access to the Ubaye Valley mountain passes, where hiking, cycling, rock climbing and paragliding can be enjoyed. 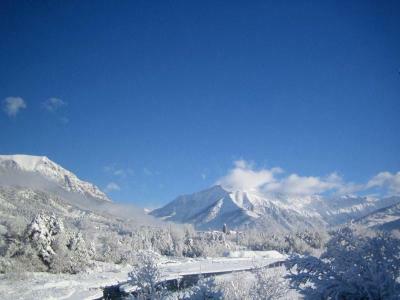 Le Sauze ski resort is 3.1 mi from the property, while Pra Loup ski resort is 6.2 mi away. 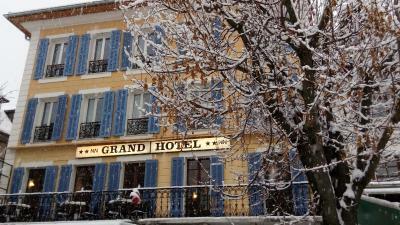 When would you like to stay at Le Grand Hotel? This room includes a flat-screen TV and an private bathroom with a shower and hairdryer. Room for 2 adults and 2 children (less than 18 years old). This room gives onto the hotel's inner courtyard. House Rules Le Grand Hotel takes special requests – add in the next step! Le Grand Hotel accepts these cards and reserves the right to temporarily hold an amount prior to arrival. It is not possible to arrive after 19:30. The room was small. Very small. Stairs a little awkward. Located right on the central square which made it a bit noisy. Somewhat dated. We had originally booked an inner courtyard view room thinking it would be OK for one night but soon realised that was a mistake as for 2 people with all of our motorcycle gear it was cramped and claustrophobic - our host kindly upgraded us to a better room, giving us a choice at different rates - we had to pay more than we had originally planned, but not much, and it was definitely worth the extra. Being an old building, noise carried from the halls into the room, nothing too bad, just people walking and talking, doors slamming etc. There was no noise from outside though so that was good! Very friendly and welcoming. Great location. The area was very busy and very noisey well into the early hours of the morning. The owners were extremely helpful and excellent.